Eng. Khaldon attended PWON’s Steering Committee Meeting in Mardan which included MoU Signing Ceremony between ACWUA and PWON. 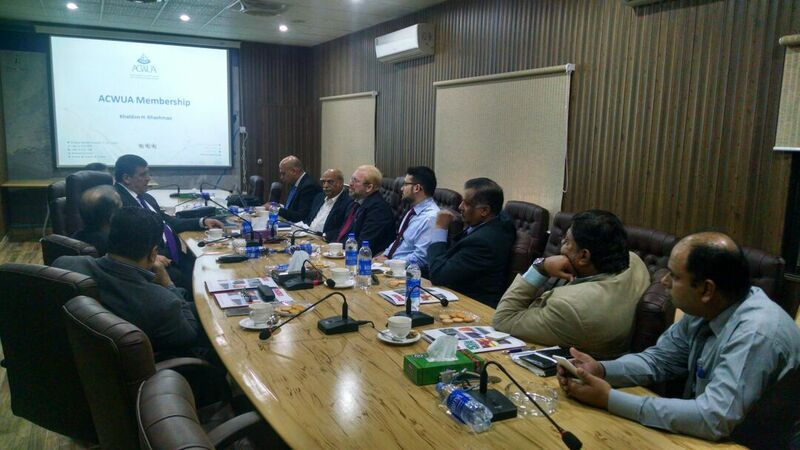 The meeting was attended by most of Water and Sanitation Agencies and companies from different areas of Pakistan. Furthermore, the trip also encompassed field visit to Lahore Water and Sanitation Agency (WASA), to Karachi Water and Sewerage Board (KW&SB) where he also meet with number of business leaders from the private sector in the Pakistani Water and Sanitation Cluster, and finally to the NED University of Engineering and Technology in Karachi.